ScribbleLive VP of Content Kim Fox and a host of other digital journalists discussed the best ways to use live blogging. 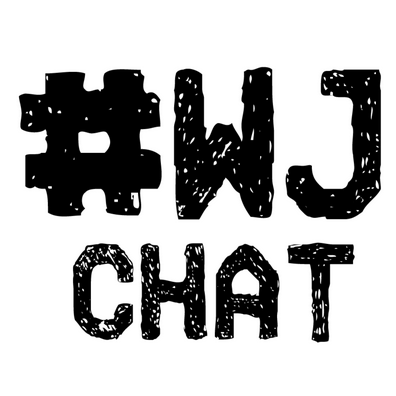 #WJChat, a weekly Twitter discussion hosted by WebJournalist.org, featured ScribbleLive Vice President of Content Kim Fox on Wednesday, April 30, along with a slew of other digital media pros. Here are some highlights from the chat, which focused on the evolution of live blogging into a legitimate journalism format. Among the first things WJChat touched on were some best practices for real-time journalism. After all, it's a relatively new approach in the media world. Fox cited preparation and planning as crucial elements when covering an event. What about the future of the live-blogging format? What kind of role will it play in tomorrow's newsrooms? Forget about the idea of occasional events being covered, we're likely to see "always on" content streams becoming more common, said Fox. By the way, a good example of what Fox is talking about is ABC affiliate KOAT-7's continuing live coverage of the Malaysian Airlines story. It's been running a live stream since April 5. KOATA search is underway in the Indian Ocean for the wreckage and black boxes of Malaysian Airlines Flight 370. WJChat then opened the chat to other participants, who (along with Fox) dropped quite a bit of knowledge on the subject of live blogging. The consensus takeaway is that live blogging can be overwhelming, so makes sure roles and tasks are properly defined and delineated. A well-planned story combined with a sharp angle can result in a quality product such as ESPN's re-enactment of the night Hank Aaron hit his 715th home run (shown below). The creators of this piece followed ScribbleLive's planning and preparation advice and hit it out of the park (so to speak). This may be the digital age, but there are no short cuts in real-time journalism. All of the traditional assets that make for a quality journalist still apply when it comes to this format. Honing those skills is the best way to thrive in the current media environment. #WJChat #A9 Your liveblog can easily become a backgrounder / context sheet for future stories, and a discussion home for the subject. It's important to make good use of the content from a live event once it's concluded. Whether by creating a recap (like this one), fashioning a Q & A or even a feature with an entirely different angle, the content you mined in real time can add value later on. That means more content, more context and more traffic on your site. Scribble Tip: Avoid indiscriminate Twitter dumps. That's lazy live blogging. Instead, use your Tweets judiciously and surround them with context to augment your narrative. That's concludes our look at some of the highlights of the latest WJChat discussion. Here's the full replay. Learn how ScribbleLive can enhance your real-time content.